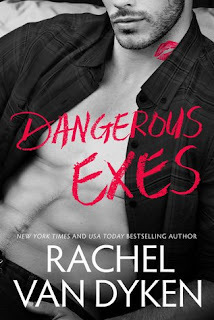 We loved the first book in this series, Dirty Exes, so as soon as the widget for book 2 arrived in our inbox I immediately downloaded it and managed to devour it in one sitting. I'm more than happy to report this one is equally good if not better!!! Jessie and Isla couldn't be more different and as much as they want to hate and destroy one another their undeniable chemistry manages to thwart their best laid plans. Jessie and Isla are both strong characters, yeah they each have a few hang-ups but overall they are easily likeable and you just cannot help but root for them as a couple. It's a story full of pranks, lough-out loud moments, a crazy aunt, a good dose of angst with a side of drama. You won't be able to put it down and when the last page is turned you're going to be grinning from ear to ear. It's a happily ever after, but the journey from beginning to end is the best part.